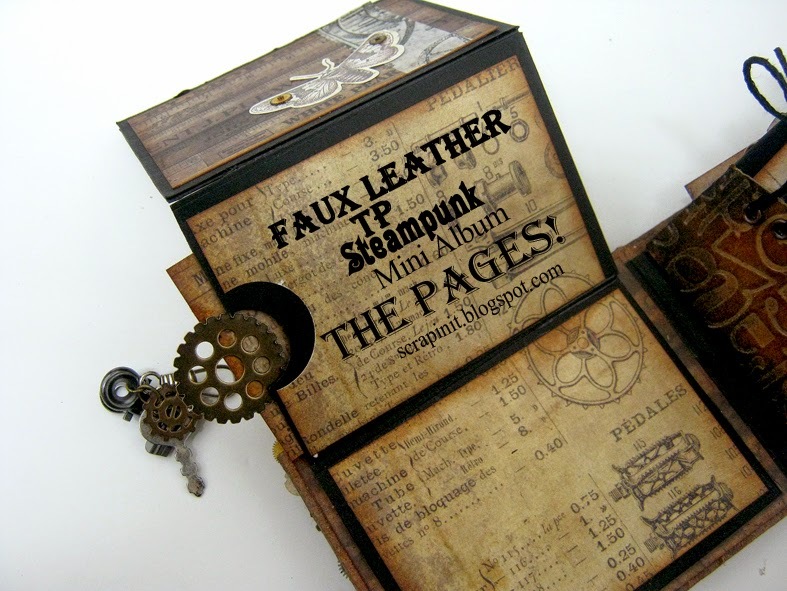 scrappin it: Faux Leather TP mini Album - THE PAGES! Faux Leather TP mini Album - THE PAGES! WOW!! I got so many amazing responses. Thank you! I'm so happy you liked this mini album as much as I did. Wasn't it really fun and easy to make? Well...after much anticipation here comes the second part...THE PAGES! We'll venture into these beautiful pages and learn how to create them one by one! This album is full of interactive surprises. Pockets, flaps and more... as well as handmade embellishments that will take your breath away. Some of the work is delicate and requires patience but believe me, it's worth it! Since TP rolls are already pockets, that part is rather easy. All you need for this part is to add tags. I used scraps of paper from Tim Holtz papers to create the tags. To embellish the tags I add a cogwheel or sticker to each one. The most challenging pages were the corset opening page and the butterfly embellishment page. They took a long time to plan, but you're lucky I've done all that for you already. They do need patience to create but I think you'll agree it's worth the time. In general the entire mini album took longer to make then I originally thought partly because I tend to try almost every possibility when I design until I'm happy. So I need to work on that... I've managed to edit the video so it will be much shorter but still simple and easy to understand. 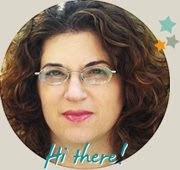 Make sure to watch the video tutorial for all those important steps to create all the pages! I will be happy to see how your mini albums turn out. If you make one please share! This is fabulous! Love the corset the most - you have so many amazing details here. Off to pin to enjoy another day.